At the 2014 Starbucks annual meeting, Starbucks announced a partnership with Oprah Winfrey to bring an all-new Teavana Oprah-created Chai into Starbucks stores. 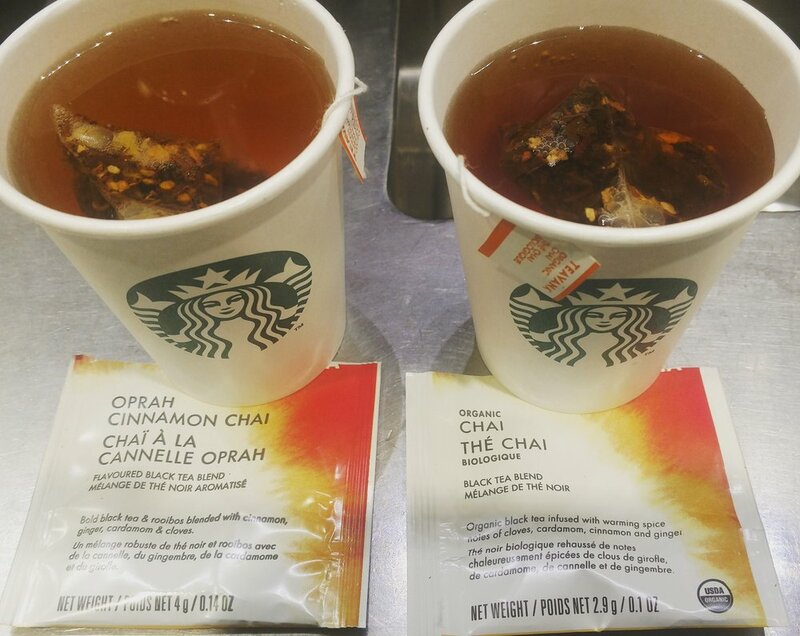 In 2015, Starbucks introduced an herbal version of Oprah Chai tea. It looks like you can still get Oprah Chai inside Teavana stores and on Teavana.com: Oprah Chai on Teavana.com. The new Organic Starbucks Chai is a little darker of a black tea blend with less rooibos and a more subtle spice flavor than the Oprah Chai had. So if you’re a hot Chai drinker at Starbucks, look for the Starbucks Chai inside stores very soon (many stores may have it now).